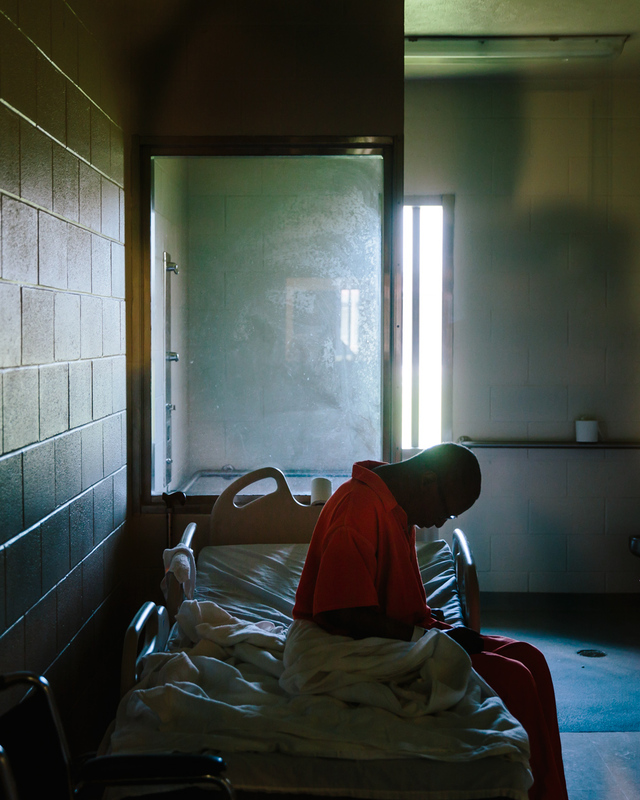 An inmate in the medical wing of Elayn Hunt Correctional Center in St. Gabrial, Louisiana. All inmates entering into the Louisiana Department of Corrections pass through Hunt's medical facilities. For The Wall Street Journal.